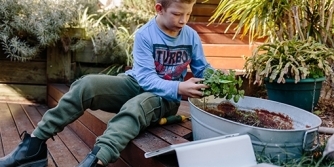 You can use Proloquo2Go for Apple Watch to build and speak simple sentences or select short phrases. Or, you can use it as a switch for scanning in Proloquo2Go on your iPhone. The very first step is to make sure Proloquo2Go is on your Apple Watch. You can then choose how you want to use it. If you have a brand new Apple Watch, first follow Apple’s basic setup instructions. If you choose Install All when asked about installing available apps, Proloquo2Go will be on your Apple Watch as soon as the setup finishes. If you choose not to install all apps available for Apple Watch, you can add Proloquo2Go later. First, go into the Watch app on your iPhone. Then, in the main My Watch section, scroll down to the Available Apps list. On the row for Proloquo2Go, select Install. You may need to wait a few minutes for the app to finish installing on Apple Watch. 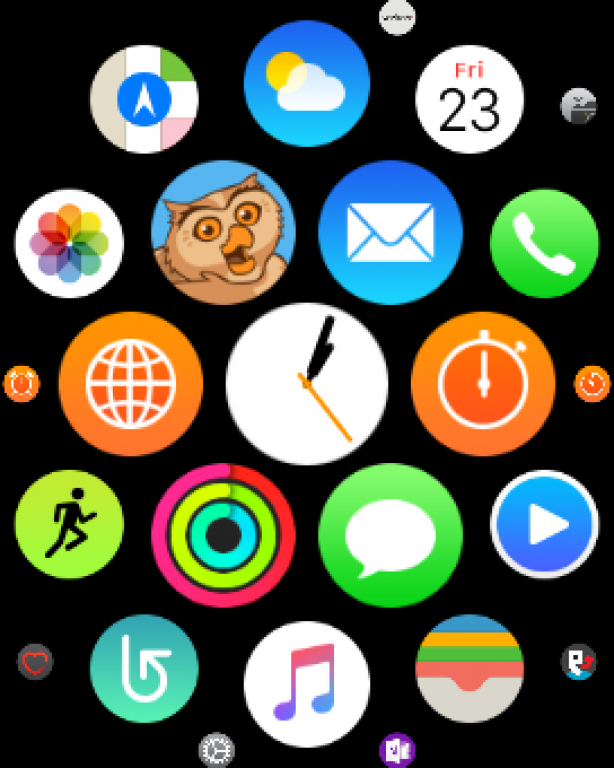 To find Proloquo2Go, press the Digital Crown on your Apple Watch. You will see icons for all the apps you have installed. If not all the apps fit on the screen, drag your finger around. You can also rotate the Digital Crown backwards to zoom out. Tap the Proloquo2Go icon to open the app. When Proloquo2Go first opens, it will ask you to choose your mode. If you want to use Proloquo2Go for Apple Watch to create and speak messages, choose Use for Communication. 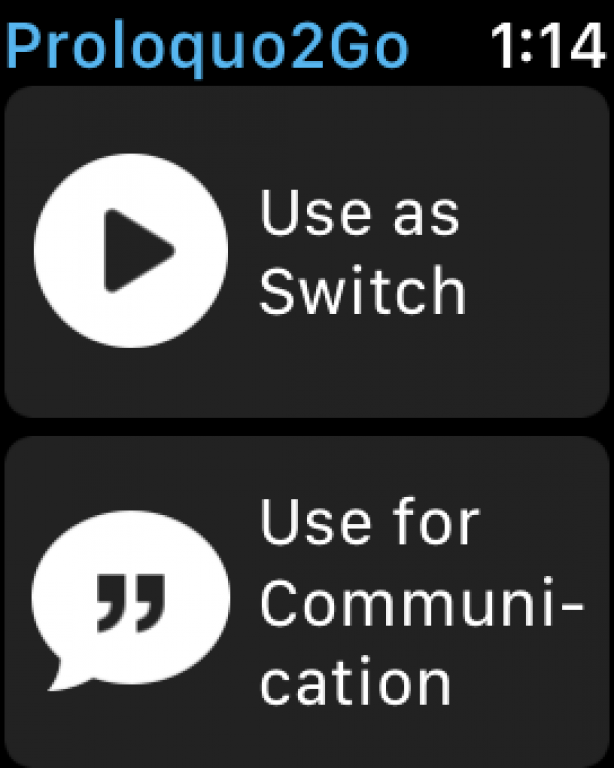 If you need alternative access and want to use Proloquo2Go for Apple Watch to select when scanning your iPhone vocabulary, choose Use as Switch. Proloquo2Go will show you a description of your chosen mode. To continue, scroll through the text and tap Start Using. There are a few settings you can adjust for Proloquo2Go for Apple Watch. To find these, open the Watch app on your iPhone. Scroll down to the Installed on Apple Watch list. In the list of apps, select Proloquo2Go. Voice Output allows Proloquo2Go for Apple Watch to speak your message using one of the system voices. If your language has more than one voice available, you can tap its name and choose a different voice. Upside-Down Text flips your message so that it is right-side-up for the person you are talking to.